Mark and Andy will help you to understand your own experiences in the context of the Bible and the other Christians who run alongside you. Basically this book gives you some idea of what youve got yourself into! What Have I Got Myself Into? 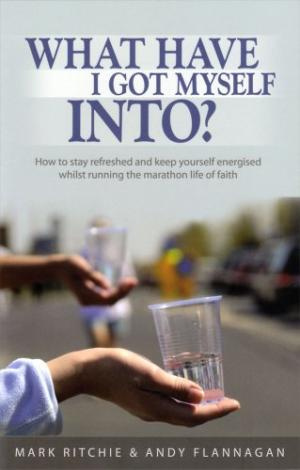 Paperback Book by Andy Flannagan; Mark Ritchie was published by New Wine Press in March 2011 and is our 33597th best seller. The ISBN for What Have I Got Myself Into? Paperback Book is 9781905991655. Be the first to review What Have I Got Myself Into? Paperback Book! Got a question? No problem! Just click here to ask us about What Have I Got Myself Into? Paperback Book.